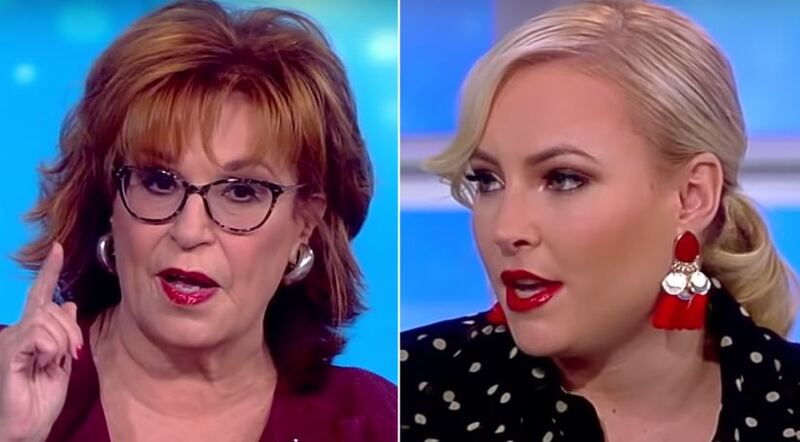 Joy Behar threatened to quit ABC’s “The View” Monday after a tense on-air exchange with co-host Meghan McCain, saying she would leave the show if the “entitled b*tch” was not put “under control,” according to a report. During a segment honoring former President George H.W. Bush’s life, Behar praised the late president for his efforts on climate change before offering a critique of President Trump’s environmental policies. As producers cut the live feed, the women could be seen yelling at each other and waving their arms. A source close to the show pushed back on the Daily Mail’s report, particularly Behar’s alleged use of expletives during the break.